I live and work in North Vancouver, B.C. now, but I have traveled a lot! those travels , the natural world around me and the people I meet along the way are the things that inspire me. Stories, legends and the history of people, place and culture provide me with the creative raw materials for exhibitions in North America and abroad. I am thrilled to be sponsored by Mettler Thread and some of my work tours Europe on an ongoing basis. Teaching forms a big part of my life, with small workshops in my studio and larger ones in shops and studios around the world. The workshops are in patchwork and quilting techniques, sketchbooks and journaling, life drawing, design and other passions. My life revolves around painting, drawing, surface design, machine and hand quilting and embroidery and my dog! I love words and writing them down. I hold qualifications in Patchwork and Quilting from City and Guilds. 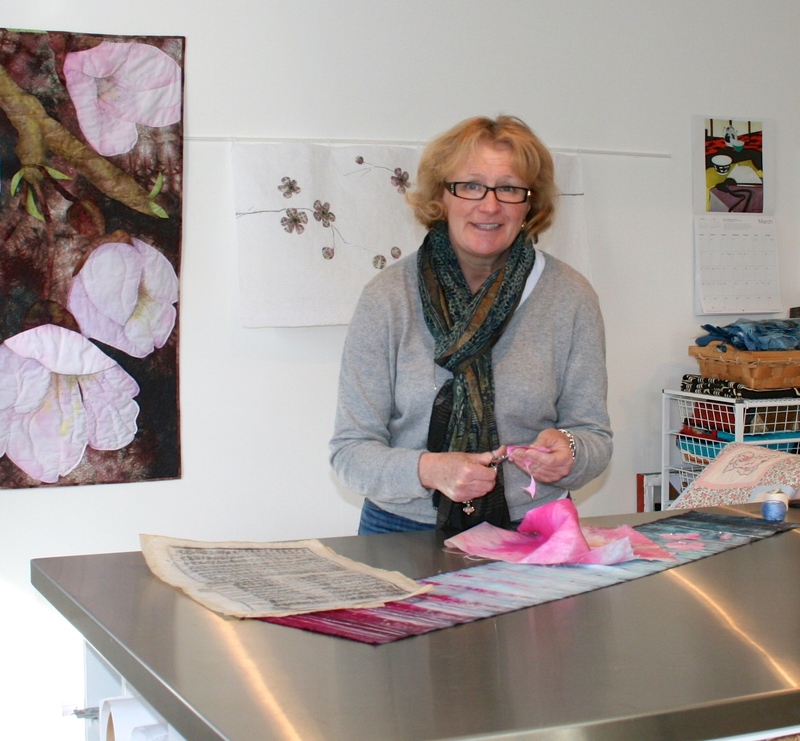 I enjoy teaching textile and mixed media workshops, wherever they might be! Please contact me if you are interested in arranging a workshop or talk for your group.